Badlapur has been in news ever since the trailer of the movie was released. Varun Dhawan has literally nailed it with his dreadful looks and revengeful avatar. The songs of the movie has already been a big hit and it looks like Sachin-Jigar has hits the bull’s eye yet again. The talented music director duo comes up with an explosive music album with Badlapur. The album has only three songs but believe me each one of them is a masterpiece in itself. The songs seem to be nicely blended and infused with the revengeful theme of the movie. Let’s have a detailed review of review of songs. Badlapur Music Review – Jee Karda Song : The album takes off with high energy and infusing Jee Karda song. The music perfectly conveys the feeling of anger, pain and betrayal complimented by superb lyrics and high-octane vocals from Divya Kumar. Sachin-Jigar seems to be worked hard for the song. The song has a rocking feel to it which will make you fall in love with it. I specially loved the use of shehnai halfway through the song which certainly shows the talent of the music director. Coming to the video, the songs seems to be a promotional number with Varun Dhawan has literally nailed it with aggression and high energy moves. Overall, Jee Karda Song is one of an electrifying number. The song is an absolute audio-visual delight. There is also a separate rock version of this song. This one is also good but I found the original one more powerful. This one is a good choice for those who loves rock music. Badlapur Music Review – Jeena Jeena Song : Jeena Jeena song marks the return of Atif Aslam after a long gap of one year. We all know Atif Aslam is one hell of a singer when it comes to romantic and soulful numbers. The Pakistani singer has once again delivered an absolute gem. Jeena Jeena is a slow romantic number which makes you fall in love primitively because of its soothing and simple yet powerful lyrics. This one is perfect number for your long drives. Like Jee Karda, this one also has a remix version which is quite different from the original one. I don’t think there was any need of this one as the original is far better. Still, a decent number for the pop remix lovers. 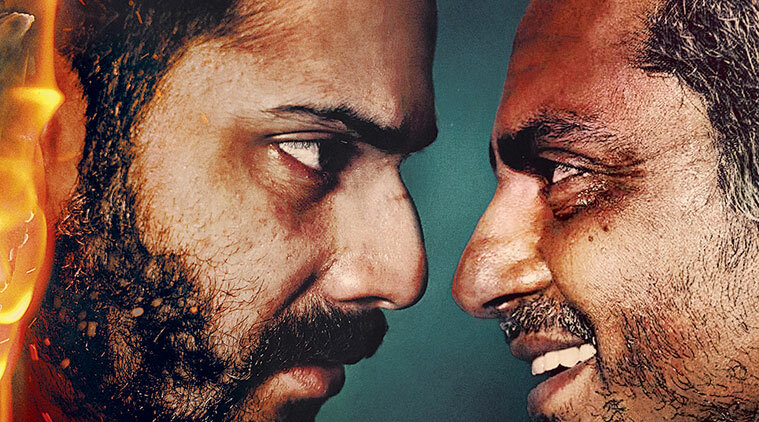 Badlapur Music Review – Judaai Song : Probably, the weakest album of the song despite being crooned by Rekha Bharadwaj and singing superstar Arijit Singh. The song starts with Rekha Bharadwaj vocals on a slow note but its the Arijit Singh’s powerful voice which takes the song to a different level. Judaai is an offbeat number with unconventional lyrics. You could find it a bit slow but still its a decent number for slow music lovers. Overall, Badlapur is a superb album from Sahin-Jigar. We love Jee Karda for its high energy and Jeena Jeena for its softness. What about you music lovers? Stay tuned for more Bollywood updates and music reviews. Your blog is right up my street. I wanna join hands if it’s OK with you.